On April 12, 2012, Bob Goff published Love Does. I love this book, as Bob covers a variety of topics about how to discover a secretly incredible life in an ordinary world. It’s whimsical, simplistic, and gives real-life examples of Godly principles. The first chapter is called “I’m with You” and it sets the tone for the book. In this chapter, Bob describes Randy, a youth leader he had in high school, who showed he loved people by the basic principle of being with them. Through the ups and downs, Randy was there. He didn’t just say he was for Bob, he was actually present with him, even when it meant tremendous sacrifice. 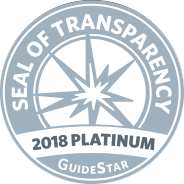 As I reflect on this journey over the past ten years, I can confidently say we’ve been blessed with two “Randys” in our organization, people who have shown up time and time again to be present, to pray, and to sacrifice with us. Their names are Tim and Lucia Van Maanen. As it seems to be in many cases, Tim and Lucia’s start in Haiti was a bit rocky. 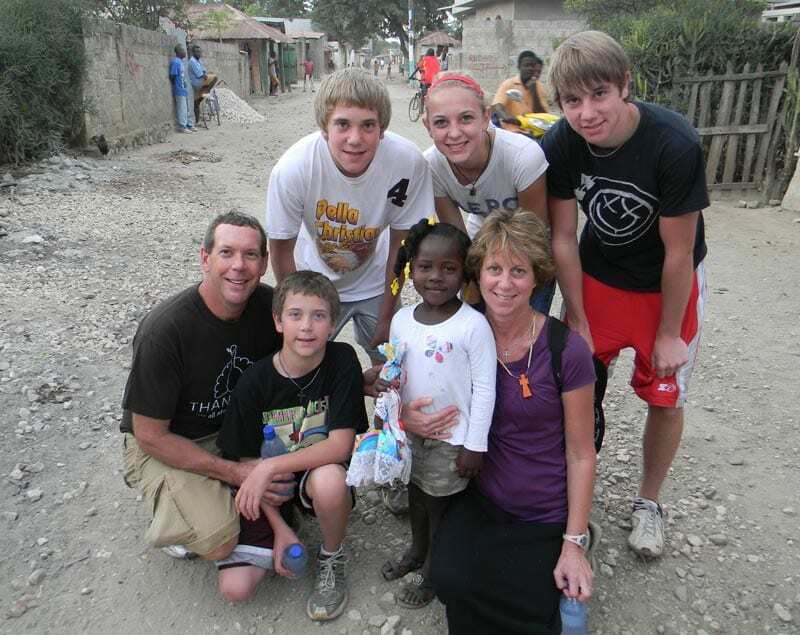 In 2010, they said yes to bringing their young family of six to Haiti with us on a short-term mission trip (their eldest son, Jesse, could not come on the trip). Towards the end of this first trip, some unrest in the country erupted and they ended up having to spend more days in Haiti than expected. Despite having a young family, they volunteered their seats to some others in the group, so those team members could get home on the original schedule. Making the most of the situation, they loved on people those extra days and were a blessing to many people. Even with these hiccups on their first trip, the Van Maanens were with us from that trip moving forward. 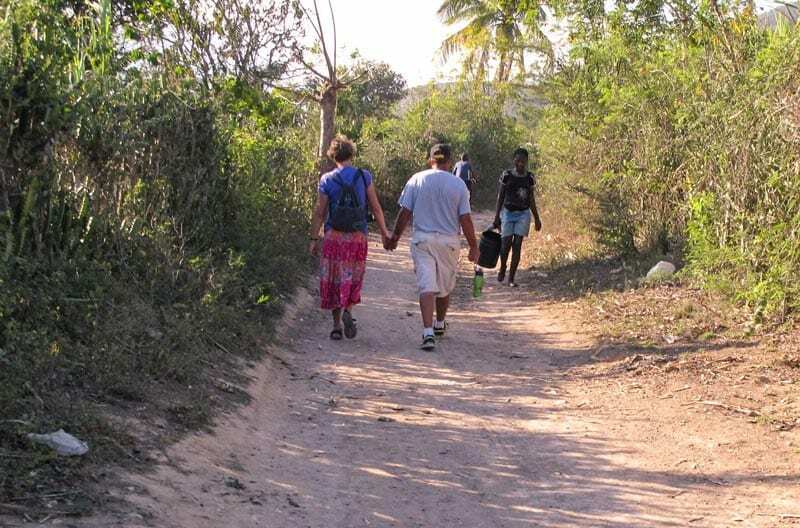 Upon returning home, Tim and Lucia heard a unique call and in obedience set forth to build the Pella Christian School of Pignon. This would require significant sacrifice to make it a reality, both in terms of money and time. They sent letters and made phone calls, inviting others into this journey with them. Privately, they made a pledge with God that if no one gave any money, they would fund the entire building themselves, as they knew what was required of them. 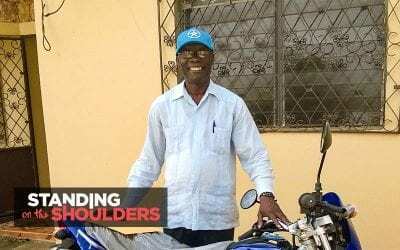 Tim and Lucia’s vision was contagious, and soon the money started to pour in, with more than enough to build the entire school. 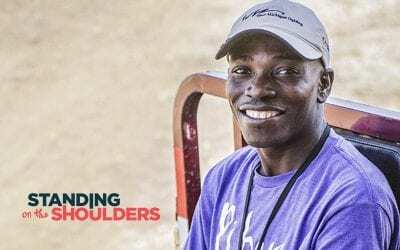 Upon raising the needed funds and the building of the school actually started, they both spent significant time in Haiti working with the on-the-ground leadership, leading short-term mission teams, and building the school. This wasn’t just a “we write the check and walk away” type of relationship. No, they were going to be present through the whole process, giving every bit of themselves to make it possible. 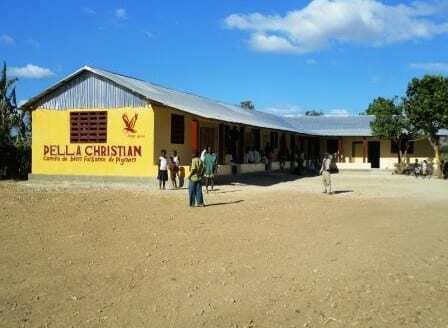 In September 2012, we opened the Pella Christian School of Pignon. After the school opened, they weren’t done. They kept committing, deeper and deeper. They led trips. They donated money. They prayed fervently. Lucia learned Creole. Tim served as President of our Board for five years. 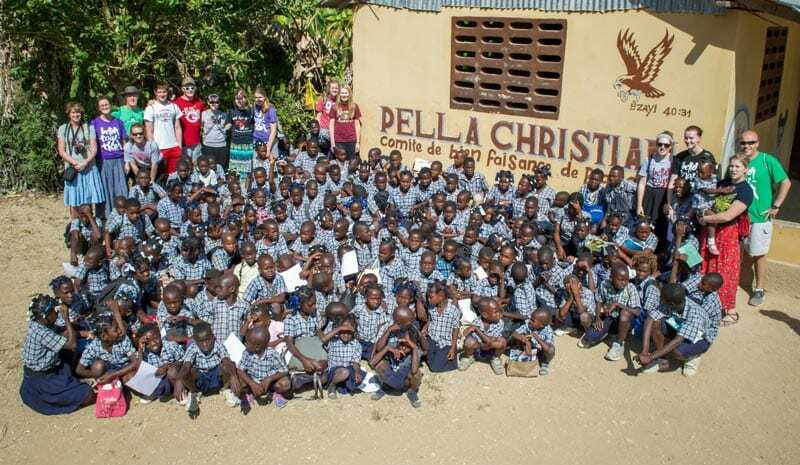 They got other organizations involved, like Pella Christian School and Mobility Worldwide. They walked with us through the times of joy, times of hurt and betrayal, times of plenty, and times of dryness. They were present in each step, good or bad, and offered all of themselves to serve Jesus through the mission of Many Hands for Haiti. 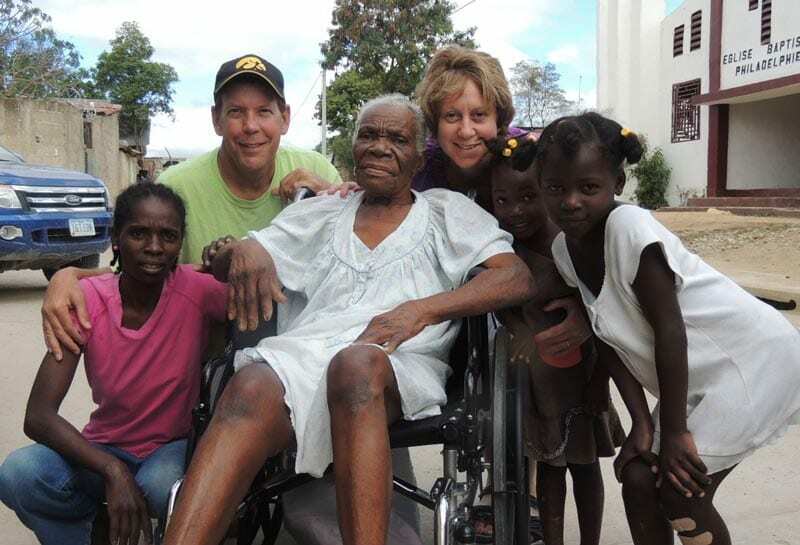 Tim and Lucia Van Maanen’s DNA is embedded in Many Hands for Haiti. 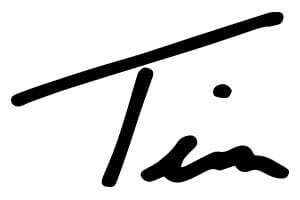 Tim’s spirit of hard work, fearlessness, boldness, passion, and sacrificial heart is witnessed in our team. Lucia’s incredible caring heart for people, contagious love, joyful zeal for life, and prayers in the darkness oozes into our people. One can’t help but be changed when spending time with Tim and Lucia. For me personally, I’ve had many dark days in the ministry. Without Tim and Lucia and their “I’m with you” spirit, going beyond the token words so easily spoken, I’m not sure I make it over the last ten years in ministry. Through it all, they have been with me, heart and soul, and have carried me when I couldn’t walk anymore. They are heroes of the faith, and I’m so thankful God placed them in my life and the life of the ministry when He did. We are forever changed for the better because of it. 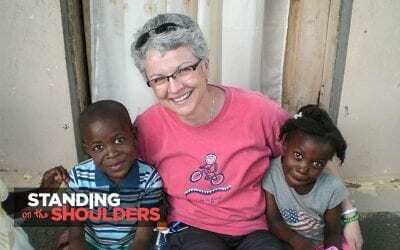 Many Hands for Haiti stands on the shoulders of Tim and Lucia Van Maanen, whose obedient, passionate, and sacrificial “I’m with you” spirit forever set our organization on God’s path. I and so many others love Tim and Lucia, and we pray God’s blessing and protection on them. May we all seek to be present among each other, so by God’s grace, we can work together to be love in action in our broken world.